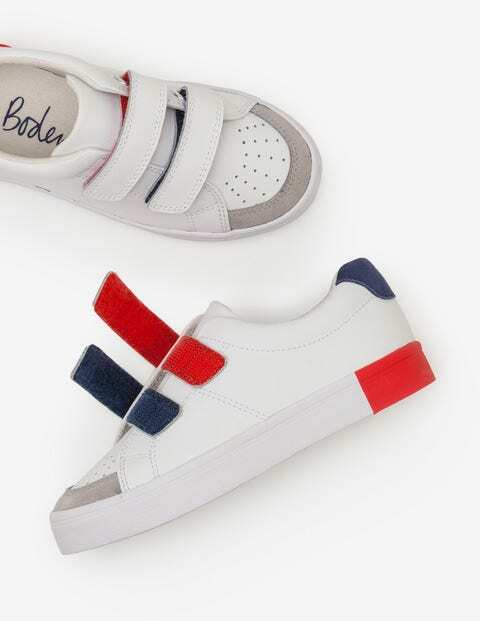 The best things in life are simple – a bit like these super-casual leather trainers. They’re so laid-back they can be worn with jeans and a T-shirt for slouching around in the garden. The easy touch-and-close fastening makes them slip-on-in-a-second-able, while the contrasting heel? Well, it just looks good.